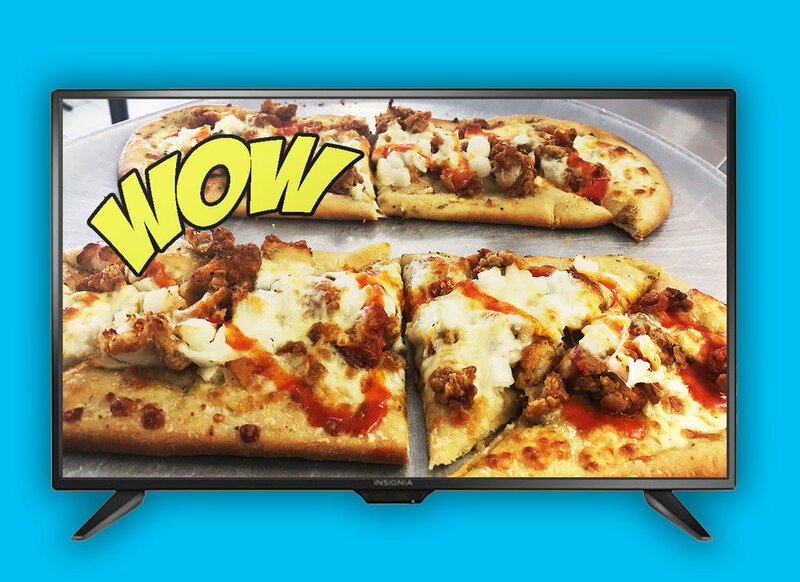 With every purchase of one of our gourmet flatbreads, your name gets entered into the draw for this fabulous brand new 32” Insignia LED TV. For instance, if you buy three flatbreads, that means you get three entry tickets. Rules: One entry per every flatbread purchased. Flatbread must be purchased within the duration of the contest. Name must be entered at the time of purchase. The contest runs until February 28th, and the winner will be announced on Friday, March 1st.